I’ve already mentioned what a delinquent blogger I’ve been. Well, I went on Israel Food Tours‘ culinary tour of the Negev with Ben Brewer over a month ago and I’m just now writing about it. Blame it on Pesach, if you like. Regardless, it’s as fresh in my mind as if it was yesterday. Living in the Negev I’ve grown to appreciate the desert in a way I never thought possible for me. I’d heard a lot about the wineries and farms sprouting up (no pun intended, or was it? ), but it’s hard to believe that anything would grow in these harsh conditions. But with the help of drip irrigation (and some controversial help from the government – it’s possible that the farming initiatives have been motivated by a desire to further push out the Bedoins), the South of Israel has turned into quite the boutique farm haven, with producers pumping out high quality cheese, wine, produce, and more. There are even successful fish farms in the Negev. Fish. In the desert. Mind blowing. 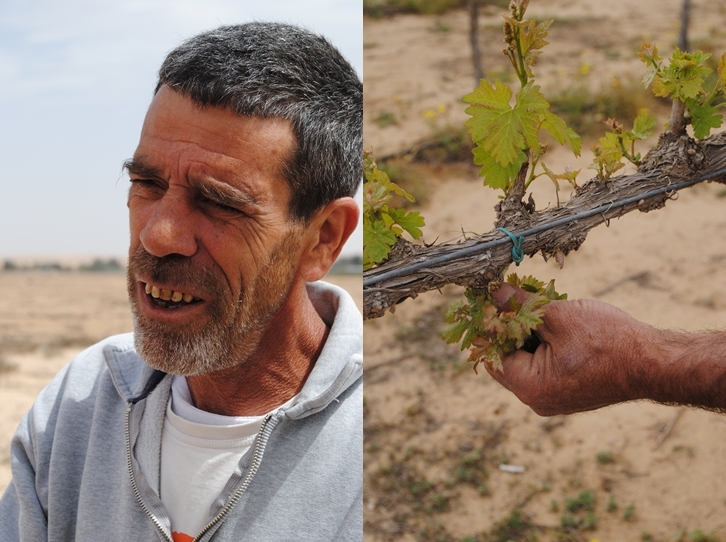 So, although I live in Be’er Sheva I had yet to visit a single farm or vineyard in the region. Fortunately, Ben Brewer came to the rescue. Brewer made Aliyah from the States six years ago. An intrepid adventurer, he got the idea to start giving culinary tours when he was showing his visiting aunt around the country. He essentially gave her a culinary tour and she suggested he start offering them professionally. He did, and he now has a handful of guides who help lead tours around all of Israel. Ben and I were joined by Liz of the fabulous food blog Cafe Liz, her husband, and Beth of the fabulous food blog Beth Michelle. A group of foodies if ever there was one. We started off the day at Rota Winery, where winemaker Erez Rota showed us the small vineyard as well as his sculptures; ever the renaissance man, Erez is an artist as well as a winemaker. Each of his wine bottles features a painting of his. His family came to Israel in the first aliyah over 120 years ago and settled in Rosh Pina in the north and worked for generations as farmers. 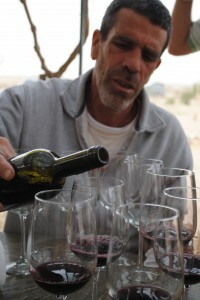 Erez’s passion for winemaking began 30 years ago when he worked on a moshav in a vineyard. “I wanted to make the wine over there,” he recalls. “Nobody told me, someone inside myself said to do it. Like a bird knocking at my head. It took a long time but it happened. You wake up in the morning for something, not for nothing.” Today Rota is a boutique kosher winery, producing less than 10,000 bottles per year and focusing on reds. Erez would like to expand, but water is tight as it is in the desert. And while Rota wine is currently only available in Israel he’s working on selling it in the US, and he enters the wines in international competitions where they do well. We tried two wines; more than that and Erez believes that you get palate fatigue. The first wine, a 2010 Cabernet-Merlot blend, was aged with oak chips rather than in barrels. Erez described it as a simple, young, unpretentious table wine. 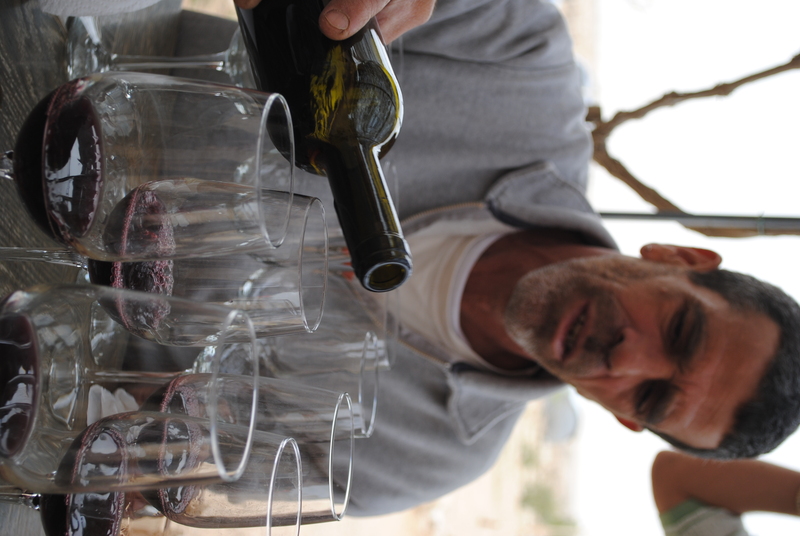 He spoke of how the terroir of the Negev comes through in each wine and gives it a distinctive nose. This wine smells of lilies because of the lilies that dot the vineyard. Next up was a 2008 Addi 100% Cabernet Sauvignon aged for 13 months in oak barrels. While it is currently drinking nicely as a young wine, Erez says that in two years it will be much improved. Even after breathing for a few minutes the wine, a fruity but dry red, came alive and hints of olive and apricot were accentuated. Here Erez spoke about winemaking as art; “it’s a taste of creation,” he said. Naot goat cheese farm was the next stop on our itinerary. Started in 2003 by the former owners of a popular Israeli steak restaurant chain, they now have a herd of 150-plus goats that allow them to produce milk, yogurt and cheese. Lea Nagimov, the talented cheesemaker, allowed us to sample nearly everything they make. Their cheeses and yogurts are mild yet flavorful; they are refined and expertly made. From their hard Nitzan cheese to soft tzfatit cheeses scented with black cumin, sundried tomato and garlic, sumac, or sesame, there wasn’t a cheese of theirs I didn’t enjoy. Armed with cheese from Naot and some additional goodies Ben brought, we had a quick picnic before exploring Avdat National Park, home to an ancient Nabataean city. A crucial stopping point on the incense and spices route, Avdat boasts the largest and best preserved ancient wine presses in Southern Israel. We had the park to ourselves and had fun climbing about the ruins. We enjoyed a glass of wine in an ancient, naturally temperature controlled wine cellar. Carmei Avdat Winery was the next stop on our itinerary. 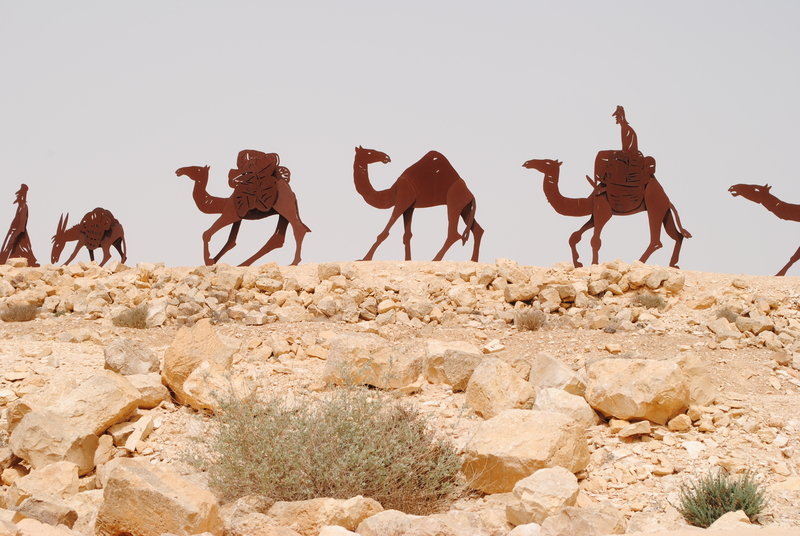 Located on the site of an ancient Nabataean farm and winery, Carmei Avdat, which was established in 1998, produces even fewer bottles of wine than Rota and they are available only at their shop. We sampled their full selection of wines from different years, including a very nice Port and a 2006 Cabernet Sauvignon that we all enjoyed. With Shabbat approaching, we hurried to Kornmehl goat farm, where we sampled more fine goat cheese. We saved the stinkiest for last, ending on a funky, barnyardy goat cheese that we all wanted to like but didn’t. The best part of this visit was that we were there at feeding time and got to see their hundreds of goats line up to be simultaneously milked and fed. It was a zoo, but more orderly, we decided, than getting on an Israeli bus. We made it to Orly sabra farm before dark, but they were already closed for the day. 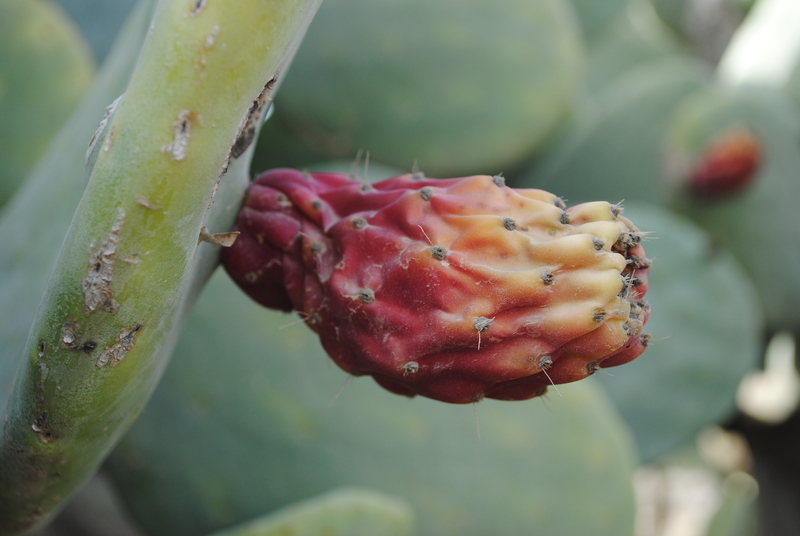 Still, we enjoyed wandering the largest sabra farm in the world, careful not to prick ourselves on the prickly pears. Though the shop was closed, we were all inspired by the sabra-related products Ben told us they make. Finally, the last stop of the day was a traditional Bedoin dinner. There are plenty of these for tourists in Bedoin-style tents that look like Disneyland teepees, but Ben brought us into the home of Kamel, who treated us to some real Bedoin hospitality. He showed us around his home where he has chicken coops, a huge solar panel to power his home, fruit trees, and a garden. His camels live at his cousin’s house now, so we didn’t get to enjoy the camel milk he claims to live off of. Kamel, a father of eight, shared his philosophy on Bedoin health, insisting that most of the year they eat only homemade, whole grain bread and camel milk. He says that while it’s a lot of work to make everything from scratch, with so many children the alternative is too expensive. Kamel and his two sons served us traditional hot Bedoin tea, a sweet, syrupy, delicious beverage while we waited for dinner. 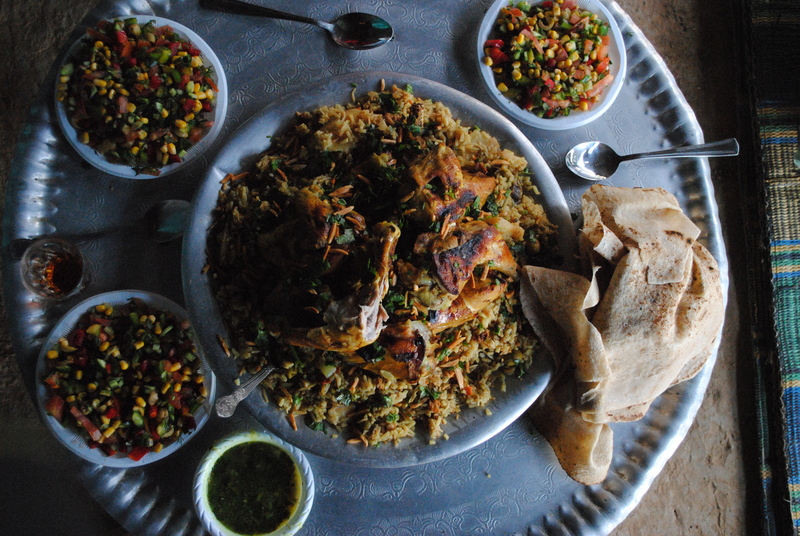 Before long his wife brought out salads, flatbread, and a huge makhlouba, a Bedoin dish of rice and chicken that is insanely delicious. After devouring the communal makhlouba with our hands, we reclined, Bedoin style, to digest. Great post Katherine. I had great day with y’alls in the Negev and look forward to more food exploration with you soon. Wish you could have been there as well! Yes, Kornmehl is great, and Naot is even better! Lovely! I’m back now, hope to go on some more culinary adventures! we’ll have to plan something soon. i promised sarah we’d go to zohara shortly. Really beautiful pictures. Sounds like a delicious time. What a wonderful post. Thanks for the tour. The Bedouin meal looks amazing!! Thank you Judee! The Bedoin meal was definitely special. Thanks Diane! Good to hear from you, your website is looking great! This looks really amazing! I’m heading over to Israel in a month or so, but on a tight budget… just wondering how much something like this would set me back so i can try and fit it in?! Thanks. Hope this helps! Have so much fun. Thanks so much, that’s a great help!! Thanks so much for that, it’s a great help! !